After impressing with her stint as Swarna in Star Plus' much-celebrated show Yeh Rishta Kya Kehlata Hai for almost three years, Parul Chauhan bid adieu to the show. Confirming the news, the actress told Times of India, "Yes, I have quit the show as I was not ready to play the role of a grandmother's role at such an early stage of my career. I felt I won't be able to do justice to the role. I spoke to Rajan sir (Producer) and thankfully he understood my concerns." 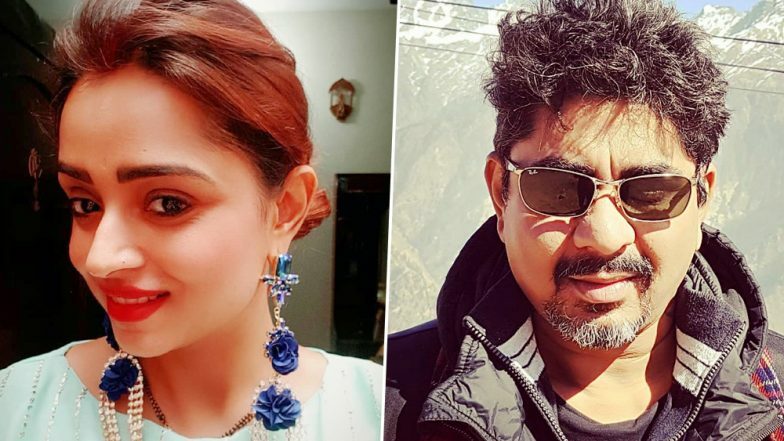 However, the actress' exit came as a surprise to not only her fans, but also Yeh Rishta Kya Kehlata Hai's team members and producer Rajan Shahi, who gave Parul her first break in the telly industry with one of his hit shows, Sapna Babul Ka... Bidaai. Yes, you read that right. Parul's exit was unexpected and precisely why the producer of the show was shocked and upset with the news of Parul's exit! Parul Chauhan Aka Swarna Quits Yeh Rishta Kya Kehlata Hai, Here’s Why! Meanwhile, Parul is currently on a break from daily soaps and it seems that she is making the most of it. Parul, who tied the knot with her BFF - Chirag Thakkar last year (December 12, 2018), is making sure she devotes her maximum time to her personal life. Talking about it, the actress told the daily, "I am enjoying the break and not in any hurry to return to work. I went to stay with my parents at my house for few days. Doing a daily soap becomes very hectic, you end up getting no time for yourself. Hence, I am also working on body and taking care of myself. I am enjoying the break." Yeh Rishta Kya Kehlata Hai, which is one of the longest running shows on television, is undoubtedly one of the most loved shows and is currently raking in good numbers and is the third most watched show on TV. Recently there were reports that the show is all set to go the Kumkum Bhagya way as the makers are planning to have a spin-off of the daily starring Mohsin Khan and Shivangi Joshi in lead roles. Share your thoughts on this in the comment section below. Watch this space for further updates.